A properly designed and well-built roof is one of the most essential elements when it comes to protecting your home, its contents and its residents. And although many roof related problems can be alleviated with maintenance, sometimes re-roofing is necessary. The process, however, can be complicated and the ramifications of a poorly done job can be disastrous. Here’s what you need to consider in terms of getting a new roof. Safety: One of the greatest concerns of with attempting DIY roofing is safety. And while the internet may be full of ‘helpful’ advice, the fact is there is no substitute for the proper use of equipment that skilled roofers will undertake in order to keep their employees and the workplace safe. Inexperience: Due to a lack of skill and long-term experience, many DIY’ers are guaranteed to make mistakes and some of them will be costly. These include insulation problems, leaky roofs and more serious damage that can translate into significant repairs later on down the track. Delays: Attempting reroofing yourself will probably take a fair amount of time, particularly if you run into problems throughout the process (which is more than likely). Employing a professional to do the job will ensure the project is completed efficiently and to industry standards. Weather: Weather is, of course, unpredictable, however, professional re-roofers will have a contingency plan in order to deal with not just the effects of the elements, but the delays that go along with it. How will a professional go about it? Your re-roofer will firstly inspect and evaluate your old roof and then carefully take note of all of the roofing and guttering measurements. Next, they will analyse their findings and provide you with an itemised quote and a detailed plan in terms of how they’ll proceed. In most cases, the process will involve stripping down a large part or all of the elements that currently make up your roof. These will then be replaced with new materials and possibly new framing, or an entirely different structure may be considered. The quote should not only include labour and the cost of the replacement materials, but a cost to dispose of old roofing materials and to undertake a final tidy up. It may also include recommendations for roofing options and additional features. Your re-roofer should also take into consideration your own requests and include these in the formal quote if they’re achievable. This may include things like replacing guttering and/or downpipes. 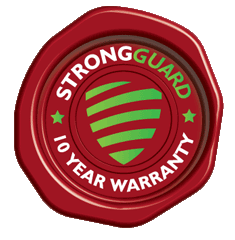 At this stage you should also ask how long the warranty is on the materials they’ll be using, and confirm that they are licensed, insured and have the appropriate references. Once the quote is approved, your re-roofer will start their initial preparation, which can involve using the proper safety precautions in order to thoroughly clear and clean the area. This will create an ideal working environment for them to proceed with the project. They will then start removing the old roof. This can involve stripping away existing tiles and the metal flashings around chimneys, vents and valleys in the roof. As they go, they should continue to inspect the structure of the roof in order to highlight any rotten roof battens or water damage. Sometimes during the process, batten measurements will be taken, particularly if battens need to be replaced due to age, damage or because they don’t comply with building codes and/or manufacturer specifications. A layer of reflective foil (or other type of insulation) is then usually laid down. The re-roofing team will then start adding metal panels and installing roof edging and make sure everything is aligned. In terms of getting a new roof, all elements need to fit together perfectly, including around vents and chimneys, to ensure the roof will be both durable and weatherproof. Before adding the flashing and completing the job, many re-roofers will also apply silicone adhesive to your roof to improve its insulation. Why does my re-roofer need to be licensed? In terms of undertaking a roof replacement, most states in Australia require roofers to be appropriately licensed by law. The types of licenses required depend on the state the work is taking place in, the size of the re-roofer’s business and the type of specific work they intend to do. In Queensland, in addition to the licence required for roofing installation, there is a third licence for designing and installing cladding. 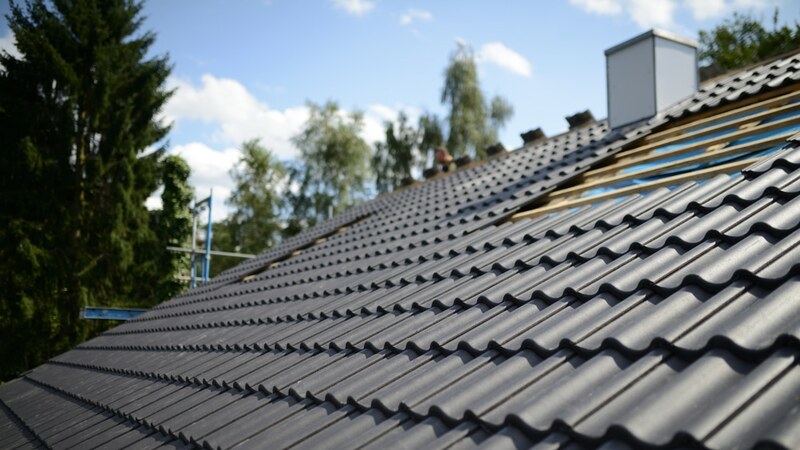 Your re-roofer should obtain the appropriate licences through the Queensland Building and Construction Commission (QBCC) and also have the appropriate amount of insurance. What will affect the cost? Roofs that are of an average size and have single or double pitches that can be easily accessed will be the cheapest to undertake. More expensive scenarios include roofs that are steeply pitched, difficult to access in terms of the site and roofs that include asbestos cement. The type of roofing materials you choose will also affect the cost. Concrete tiles are the cheapest, followed by clay or stone tiles. Products like Colorbond® metal roofing is at the top end of the scale in terms of the cost outlay, however, it’s often a wise choice because it’s not only durable but can withstand a range of tough weather conditions. It also offers thermal efficiency, corrosion resistance and the product comes with a warranty of up to 30 years. Decided it’s finally time for a new roof? Contact us on (07) 3623 4422 for a quote!